Palestinian amora of the first generation (3d cent. ); nephew of Bar Ḳappara. 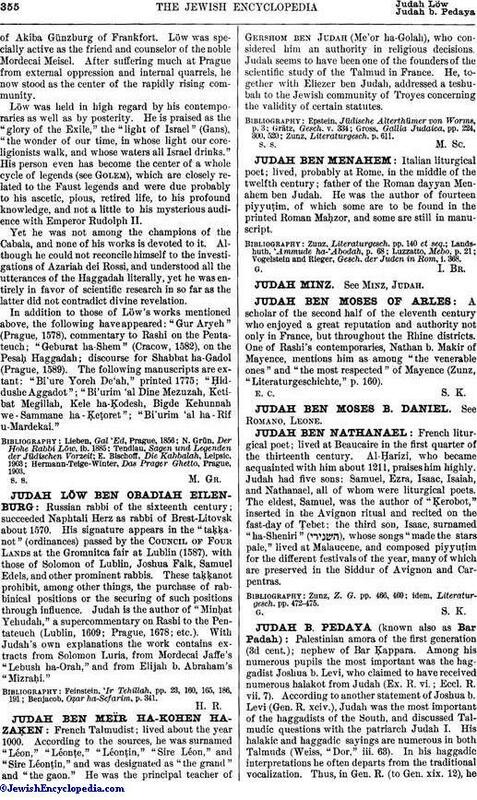 Among his numerous pupils the most important was the haggadist Joshua b. Levi, who claimed to have received numerous halakot from Judah (Ex. R. vi. ; Eccl. R. vii. 7). According to another statement of Joshua b. Levi (Gen. R. xciv. ), Judah was the most important of the haggadists of the South, and discussed Talmudic questions with the patriarch Judah I. 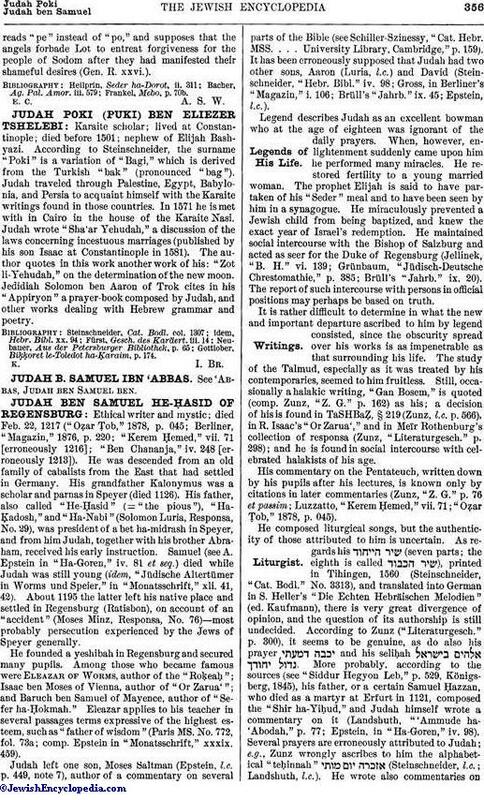 His halakic and haggadic sayings are numerous in both Talmuds (Weiss, "Dor," iii. 63). In his haggadic interpretations he often departs from the traditional vocalization. Thus, in Gen. R. (to Gen. xix. 12), hereads "pe" instead of "po," and supposes that the angels forbade Lot to entreat forgiveness for the people of Sodom after they had manifested their shameful desires (Gen. R. xxvi. ).